The new Community Greenspace Grant programme is now open for applications. Tesco has announced that the money raised from the 5p bag charge in Tesco stores will be used to pay for a large number of local projects to improve greenspaces in communities across Scotland, England and Wales. The new grant programme is administered by Groundwork, working with Greenspace Scotland to support successful projects in Scotland. The first funding round of the programme is now open for applications and will close on 27 November 2015 at 12 noon. This will be your first chance to submit an application for a grant of between £8,000 and £12,000 to create better and happier places where you live, although there will be two funding rounds per year over the next three years. This entry was posted in Local Blog and tagged community, grants, Greenspace. 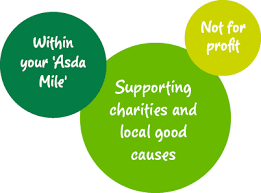 The Asda Carrier Bag Community Grants provide up to £2,000 to help projects and good causes in their local communities. The grant request must be at least 25% of the overall total project cost i.e. 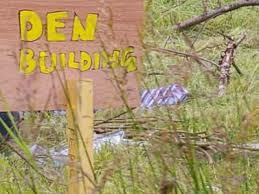 as the maximum grant is £2,000 therefore projects which cost over £8,000 in total cannot be considered. The final panel meeting for this programme will be early March 2016, after which the programme will close for applications. The deadline is 4pm on Monday 30th November. This entry was posted in Local Blog and tagged Asda, Communities, funding, grants.